The Chinese are already in the 8th century grew cotton as an ornamental plant, admiring his buds in the flowering process changing the color from white and yellow to pink and purple, and appear after them fluffy "caps". Not the fact that you'll be able to grow the cotton to produce fabric, but is an amazing plant sure to brighten up your apartment or garden plot. - liquid mixture from pests. Cotton seed is pretty hard to find in flower shops. However, if you find yourself in Central Asia (or living there with your family and friends), get seeds – no problem. 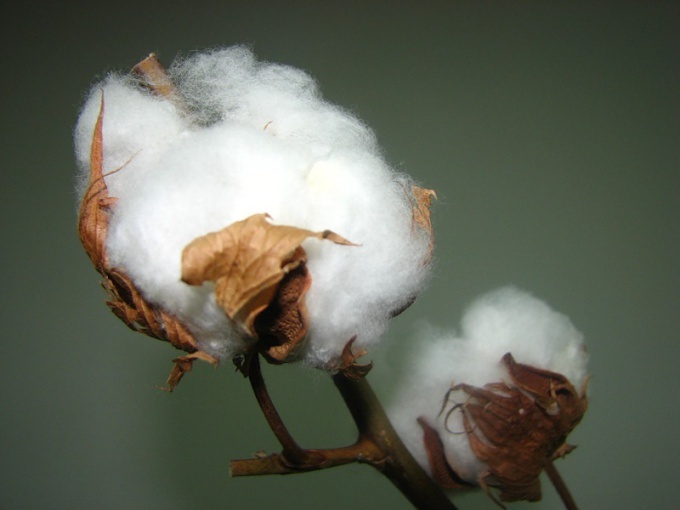 They should be a few days to keep it in a wet cloth, and then put into a large container – preferably in a deep drawer, since the cotton roots go into the ground to a depth of at least 30 cm depending on the species, the shrub cotton grows to 0.5 – 3 meters and forms numerous side branches. Cotton should be put on the window sill, as this plant needs a lot of light. It is best to plant cotton in the spring. Flowers, similar to mallow will grow rapidly and by the autumn bloom. In the second year cotton will bloom in the spring. A few weeks after flowering on tough, woody stems will appear bolls, "decorated with" silky wool. Depending on the variety and conditions of cultivation of the cotton can be short and long hairs, or only long. On the plantations the cotton grows in hot and dry climate and requires a lot of water. At home it should be watered as soon as it begins to dry out the soil, especially abundant during flowering). Fertilizers can be used are the same as for most houseplants. In General, cotton is easily adaptable to soil conditions. Diseases of cotton often appear in the summer. To combat fungi and pests (spider mites, green leprecon, cotton aphids, and others) you can use a mixture of garlic, pepper and soap. Cotton quiet winters on the window. Worth a try to plant cotton on the land. It is recommended to place it in a sheltered place in well-loosened ground "in" ground-nuts and similar cultures, that allows to saturate the soil with nitrogen and other nutrients. You need time to remove the weeds periodically and cover the cotton with plastic wrap.